Winter arrived with a vengeance this week, and today marks the start of Christmas Bird Counts. Birds will be concentrated in certain areas with the deep snow (way more than we need right now!) 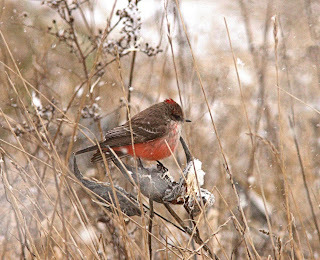 and the snow will slow us down on the weekend when most of us start the Christmas Bird Counts. On Saturday, a couple of area counts include Kettle Point up Lake Huron way, and Cedar Creek down Lake Erie way. I always do the northerly one as it is Lambton Wildlife's home count. Once again, I will be heading up to Arkona and checking Rock Glen and the area. Often we see a Golden Eagle or two along the Ausable River, so will that happen this year? 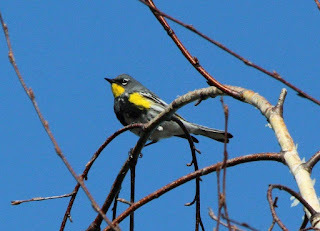 Within Rock Glen over the years, I have seen a variety of birds, but each year is different. On Sunday, it is the Blenheim/Rondeau Count. 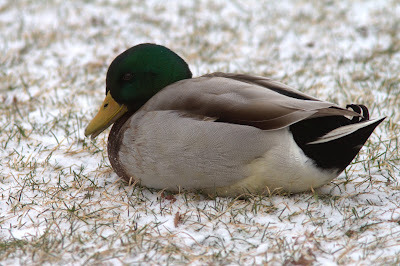 I will be checking Rondeau Park, but this recent cold and snowy weather does not help the birds that we have seen in the last week or two. However, interesting things always turn up. 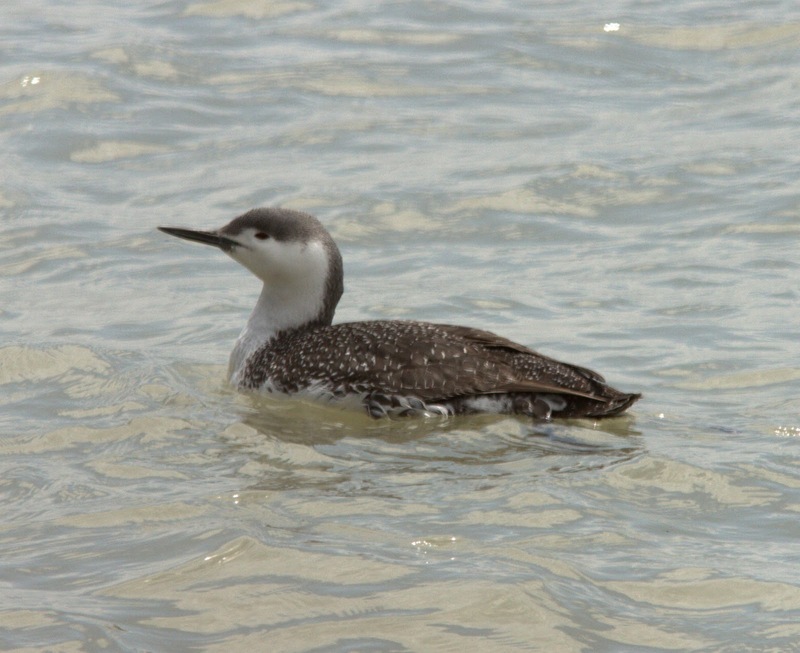 Last year, we managed a Red-throated Loon on the lake. With the large number that have been around late this fall, there is a good chance we will get one. A few years ago, Josh Bouman and I got a shorebird surprise (actually two species), in the form of a Purple Sandpiper and a Dunlin. As often is the case, the Purple was quite approachable. A number of pipits were around last year, and some are still around today. and St. Clair NWA on the traditional January 1. Skunk's Misery is also upcoming. Next post will likely report on a CBC! I think there is a good chance we will get the Townsend's Warbler! Hopefully it will survive till Sunday for the "Bate's Crew" to tally. That's a great shot of the Towhee, Blake! Thanks Susan. That was on a CBC a couple of years ago at Rondeau.